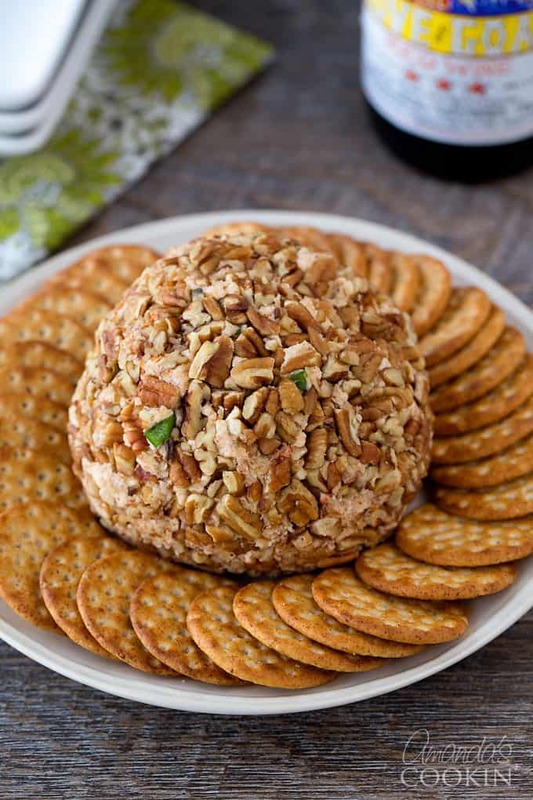 Not only does this cheese ball taste great, it looks marvelous as well. It’s really easy to put together and can be made ahead of time, saving you the stress of last-minute preparations just like this healthy guacamole. 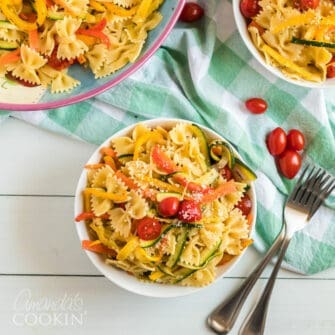 This would be great for any big game, get together, or potluck you might be having! 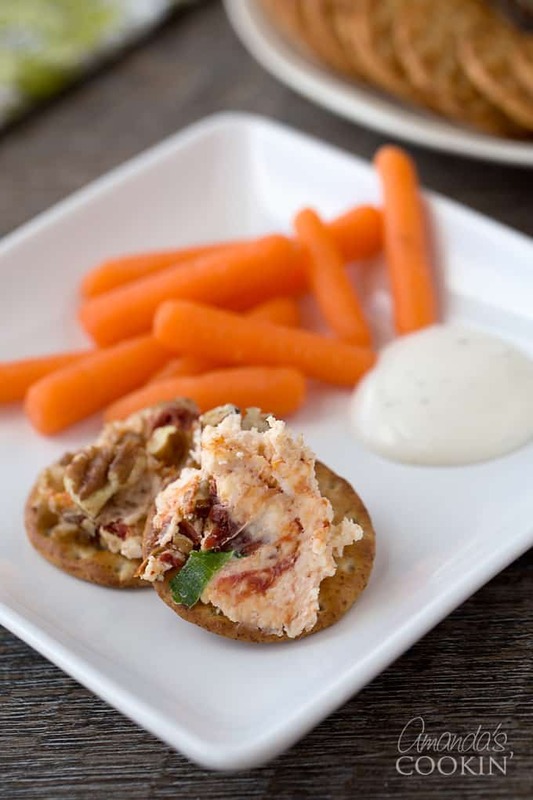 Serve it with sturdy crackers or celery and carrot sticks as a game-changing appetizer. I don’t entertain a lot, but whenever my dad comes to visit I like to put out some dips and spreads, veggies and other munchables. When he came up I made this cheese and a few other fun things. 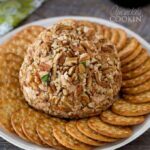 This cheese ball is delicious and packed with smoked Gouda flavor and wonderful sun-dried tomatoes! Just a tip: You might want to take it out of the refrigerator an hour or so ahead and time to let it soften up a bit. I made this cheese ball using my food processor, but you can mix everything with a wooden spoon. Using the food processor will cream the shredded cheese in with the cream cheese and combine it much better than by hand. RELATED: These Mozzarella Parmesan Stuffed Mushrooms make a great appetizer for a crowd! Combine cream cheese and Gouda cheese in food processor until creamy. 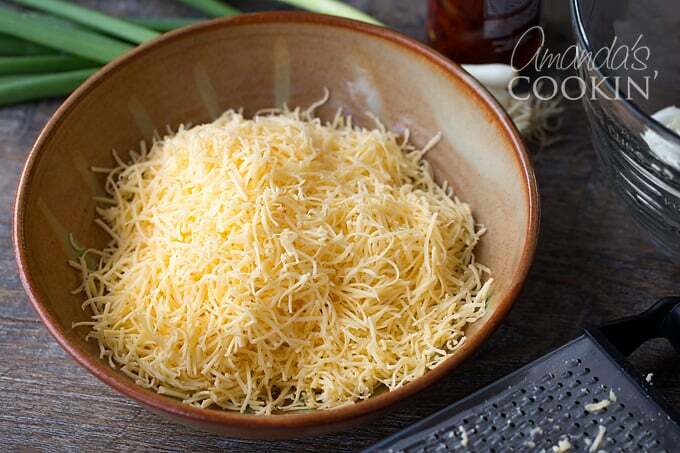 Remove cheese mixture from processor and place in a bowl. Chop up the sun dried tomatoes. Combine chives, tomatoes and garlic powder with the cheese mixture. Shape mixture into 1 large or 2 small balls or logs; roll in pecans. Wrap in plastic wrap. Refrigerate until firm, at least 2 hours but no longer than 2 weeks. Serve with crackers. Doesn’t it look delicious? 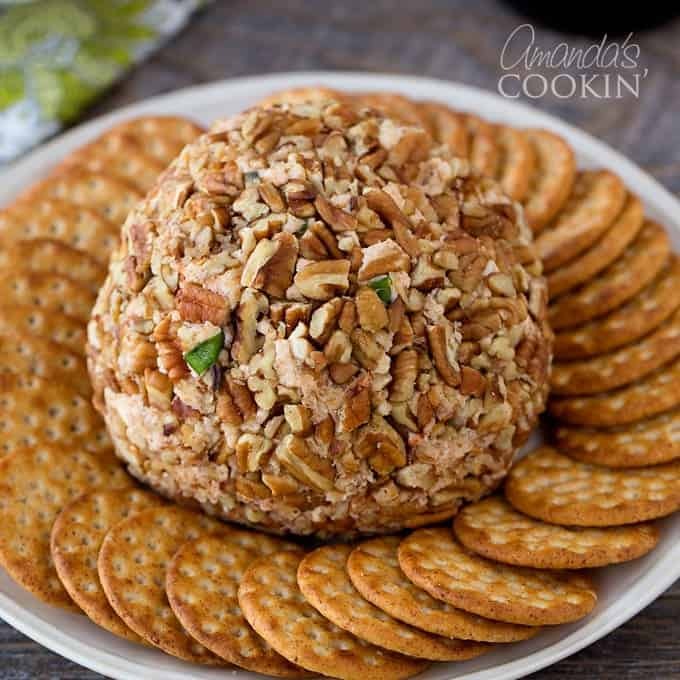 This cheese ball will knock your guest’s socks off! It’s a pretty impressive looking ball of cheese if I don’t say so myself. Looking for more appetizer recipes? Check out this Hot Spinach Dip, another great dip for any gathering. Or this Cranberry Salsa, which is perfect for Fall or Thanksgiving! If you’re a cheese lover like me, you’ll enjoy this 2 ingredient Ricotta Whipped Feta, the easiest recipe EVER! Or for a refreshing twist, these Cucumber Sandwiches are a family favorite around here, I make them just about every Thanksgiving or family gathering! This post was originally published on this blog on Jan 4, 2011. 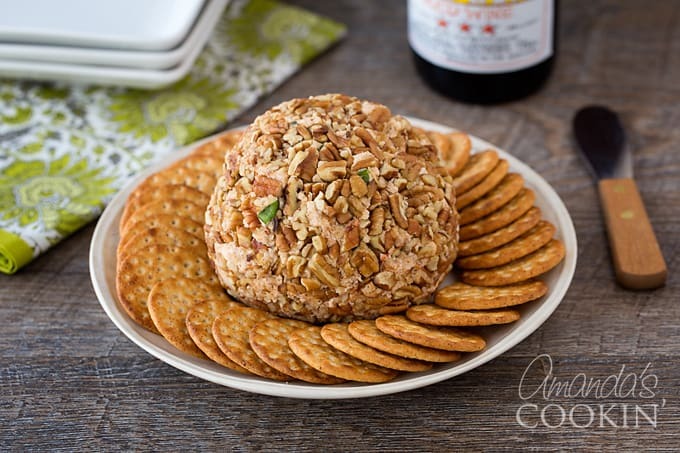 This cheese ball is packed with smoked Gouda flavor and wonderful sun-dried tomatoes! Get ready for a mouth-watering appetizer everyone will love. 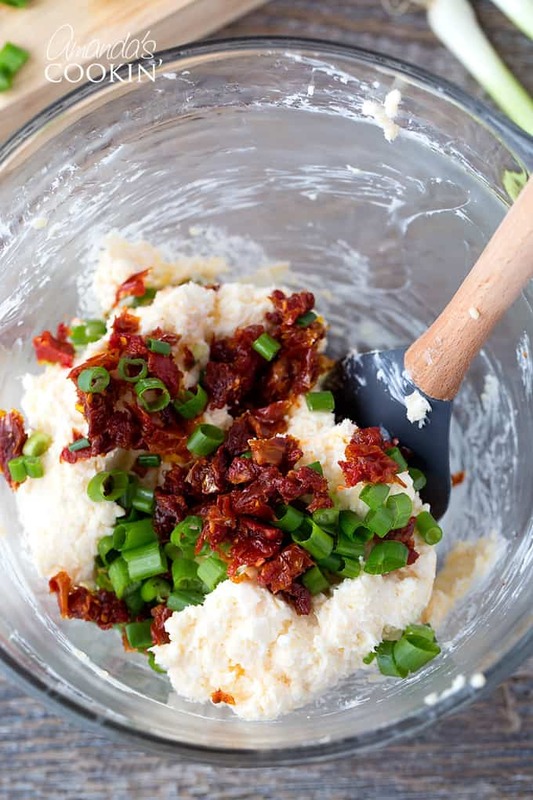 Combine cream cheese and Gouda cheese in food processor until creamy. remove cheese mixture from processor and place in a bowl. Stir in chives, tomatoes and garlic powder. Shape mixture into 1 large or 2 small balls or logs; roll in pecans. Wrap in plastic wrap. Refrigerate until firm, at least 2 hours but no longer than 2 weeks. Serve with crackers. Just made this last night to serve for thanksgiving appetizers and it’s delicious!! I added a 1/4 tsp of smoked paprika and I’m planning on toasting the pecans before i serve it… hope it’ll be a hit! Love the idea of toasting the pecans, so glad you loved it! 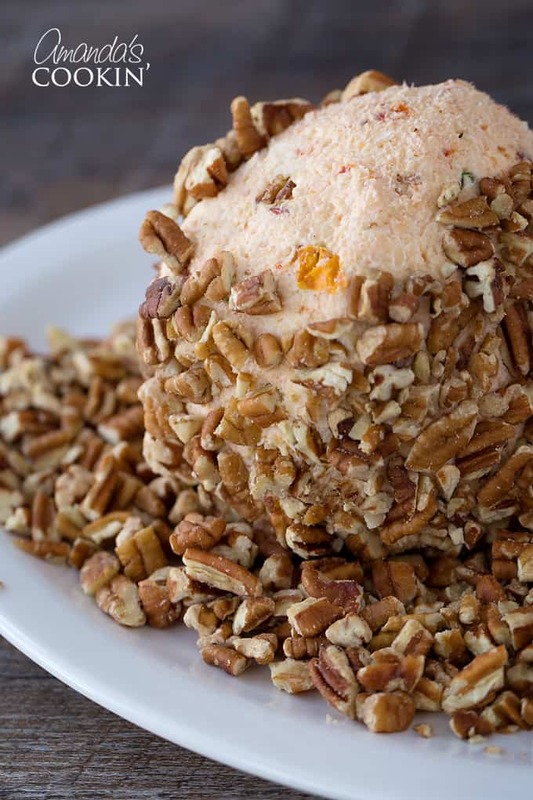 Life Motto: There’s no wrong time for a cheese ball. This. Looks. DELICIOUS! Sooo yummy! I have made this several times and people always LOVE it! I never have any to take home. Love the combination of flavors and colors in this cheese ball! Especially like the pecans. Great for a party or just a lazy weekend afternoon. What a great idea for superbowl sunday!! This is a perfect party appetizer! 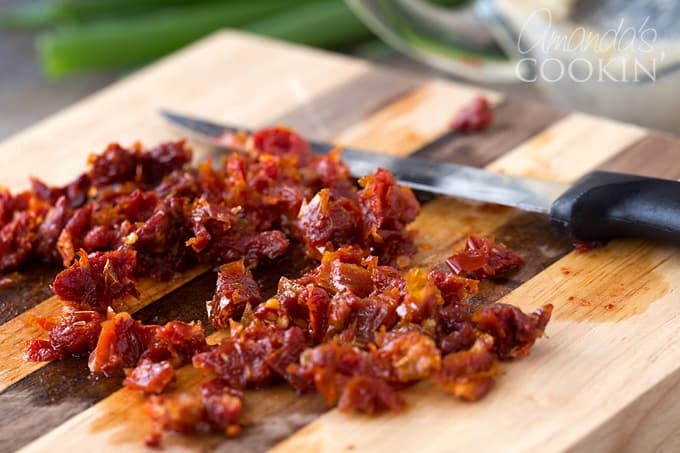 I love both gouda and sun-dried tomatoes, an excellent combination! Great appetizer, it looks so much better than those store bought ones. What a fabulous looking cheese ball Amanda! Love the combination of flavours! Just wonderful! LOVE the flavors in this app! And it's so pretty! Oh, yeahhhhhhhh. This is just what my Super Bowl Buffet is craving. Can't wait to dive in. Thanks!! !